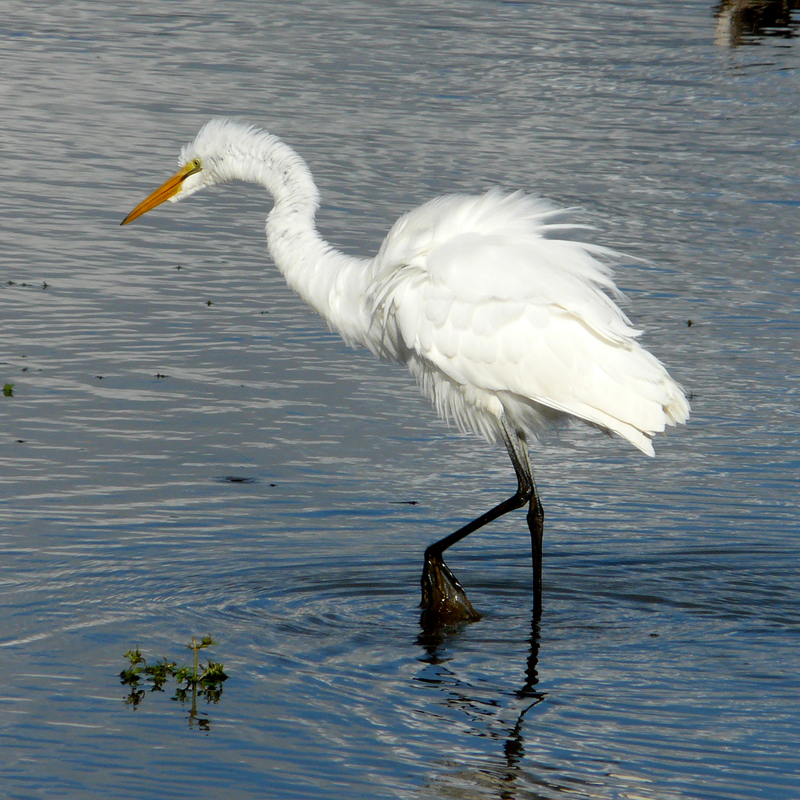 Things are hopping at Fernhill Wetlands, with rising water levels, an influx of several thousand geese and other waterfowl, and a few other goodies. 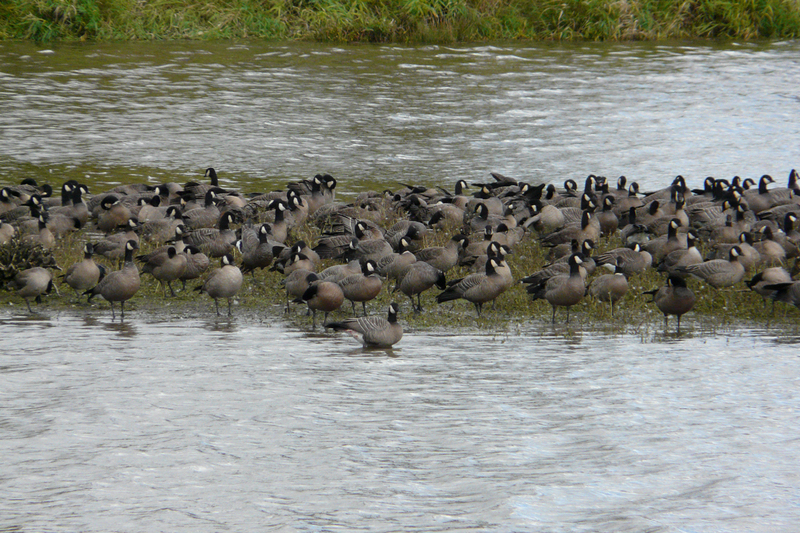 Cackling Geese have been arriving for weeks now, and the skies and fields around Fernhill are covered with these little guys. 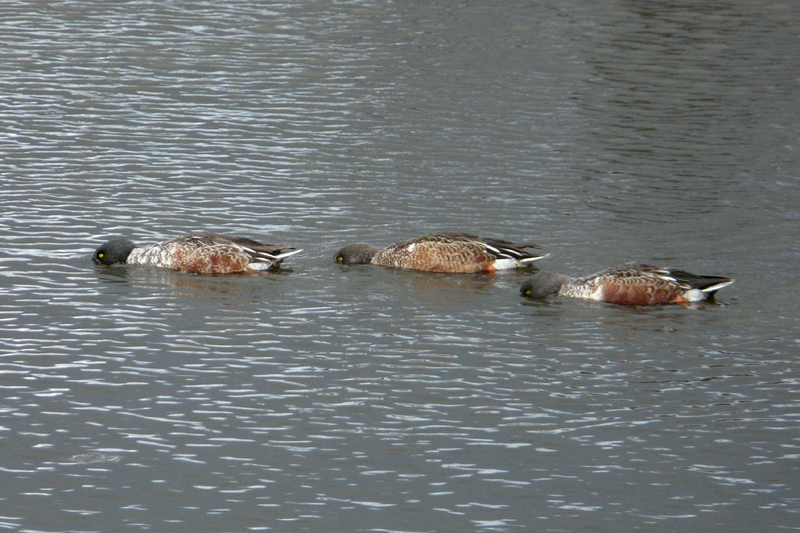 A small flock of Greater White-fronted Geese were hanging out with the Mallards in Dabblers Marsh. 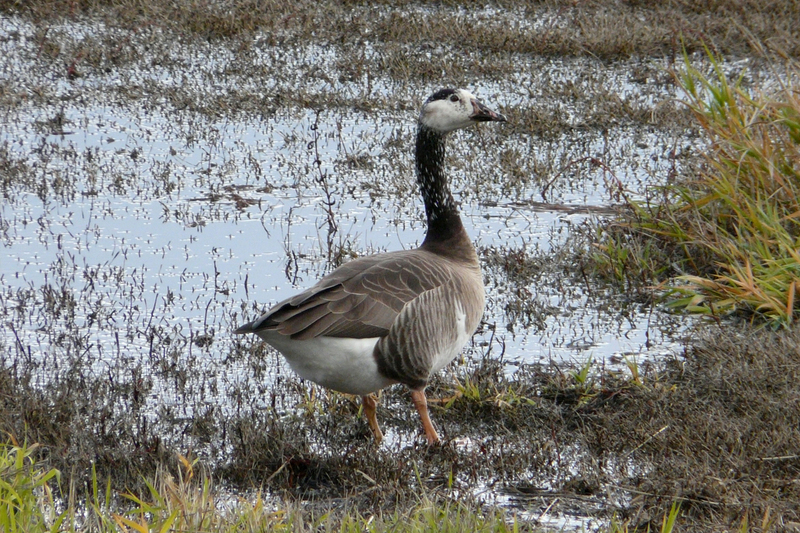 This interesting beast is a hybrid, a product of one of the local Canada Geese and a domestic Greylag Goose. 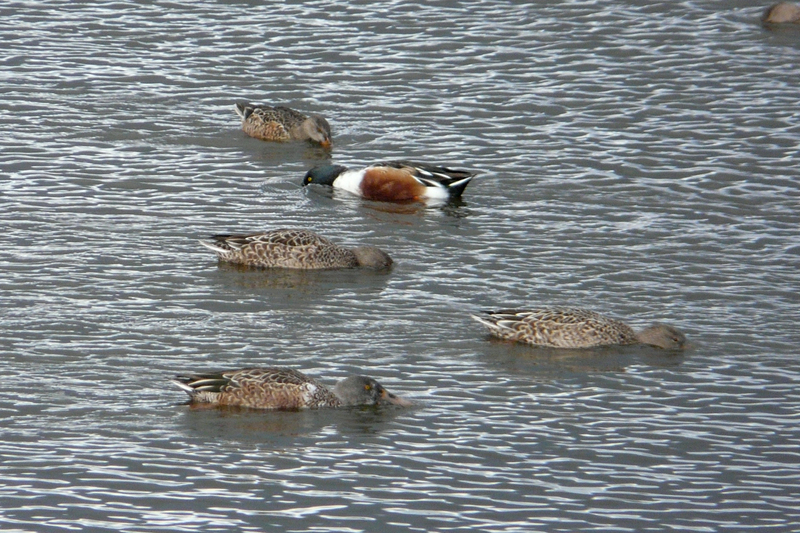 Here are some of the many Northern Shovelers feeding in their typical manner, swimming along with their faces in the water, as if their enormous bills are too heavy to hold up. 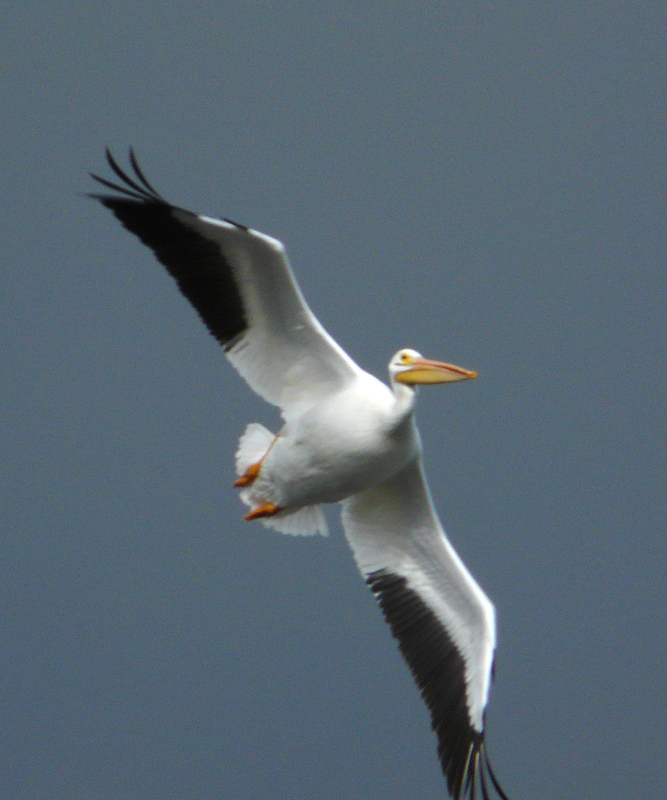 Two American White Pelicans have been hanging out at Fernhill for a couple of months now. 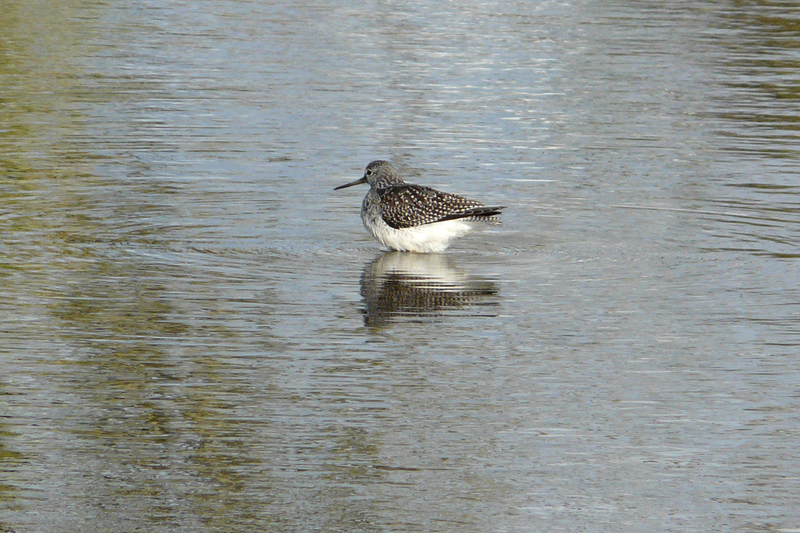 Shorebird numbers and diversity have dwindled. 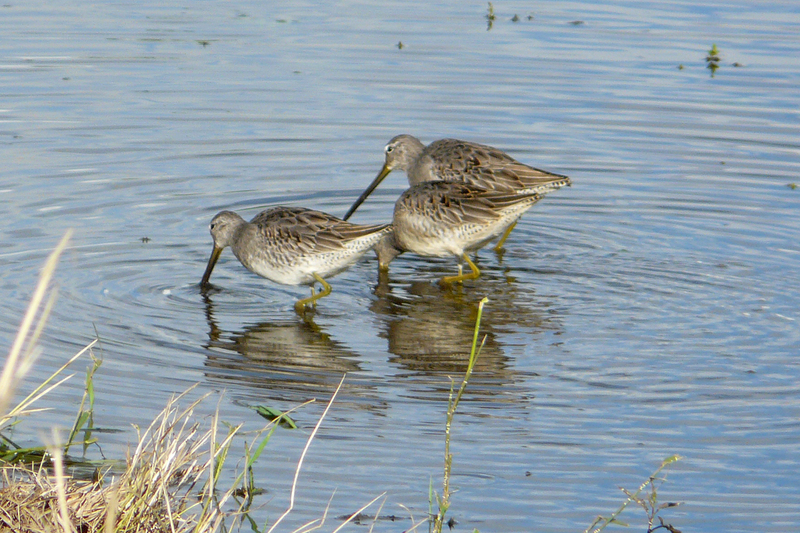 Here are a few Long-billed Dowitchers. The resident Bald Eagles were sitting around looking majestic. I watched one carrying a stick to add to their nest. 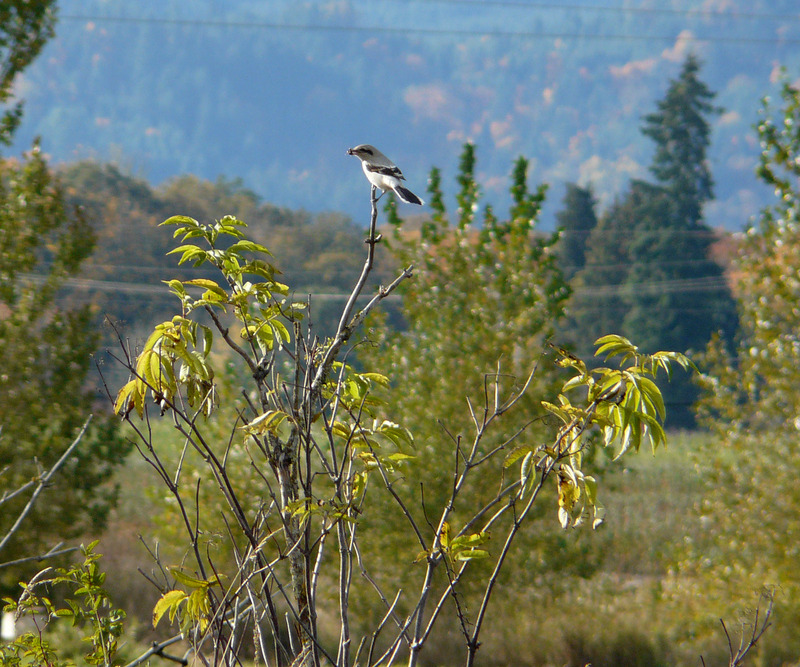 Several Northern Shrikes have been reported around the Portland area in recent days. This one is snacking on a large insect. 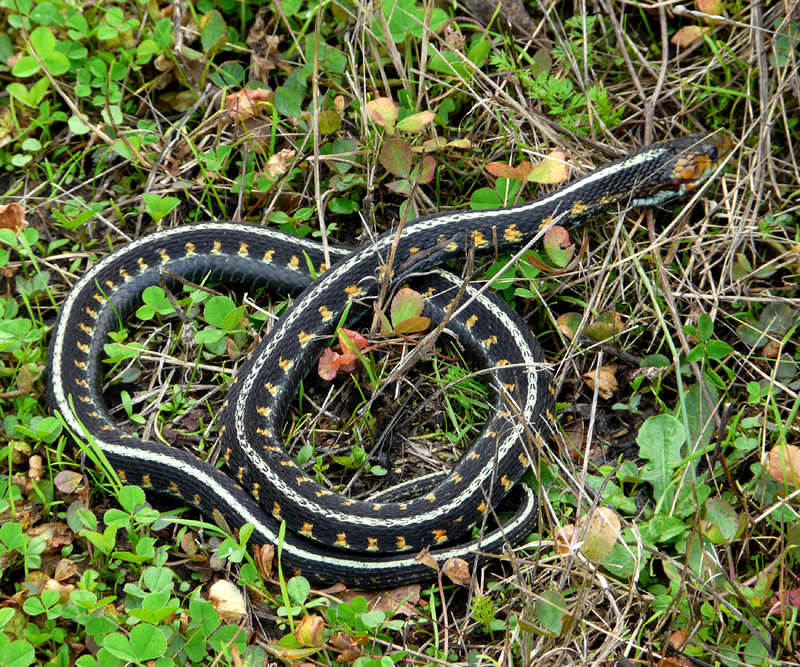 I saw three Common Garter Snakes on this trip, including one very young newborn about the width of a linguine. The colorful individual in this photo was about 20 inches long. Note the large laceration on his neck, presumably from a predator. Despite the severity of the wound, the snake was not bleeding and he crawled away after this photo was taken, so I am hopeful he will recover. 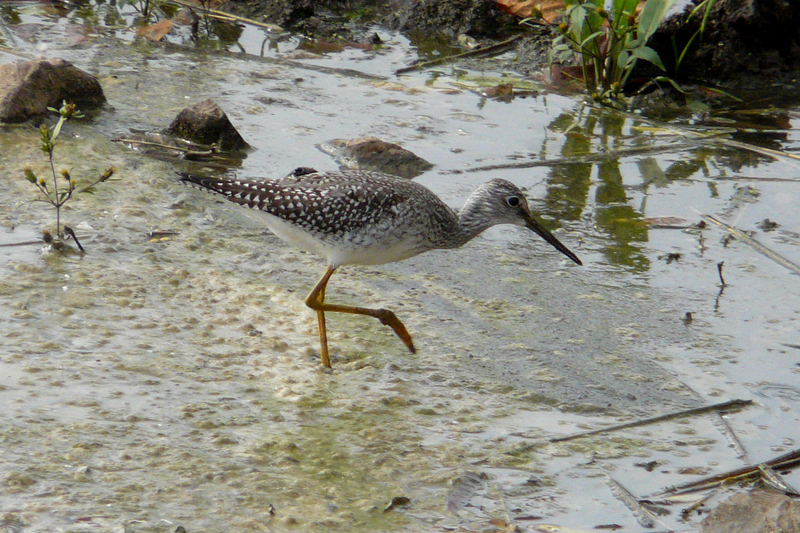 This entry was posted in OR Birding Sites, reptiles & amphibians, seasonal movements and tagged Bald Eagle, Cackling Goose, Common Garter Snake, Fernhill Wetlands, Great Egret, Greater White-fronted Goose, Greater Yellowlegs, Long-billed Dowitcher, Mallard, Northern Shoveler, Northern Shrike. Bookmark the permalink. Wow! Lots of great birds. 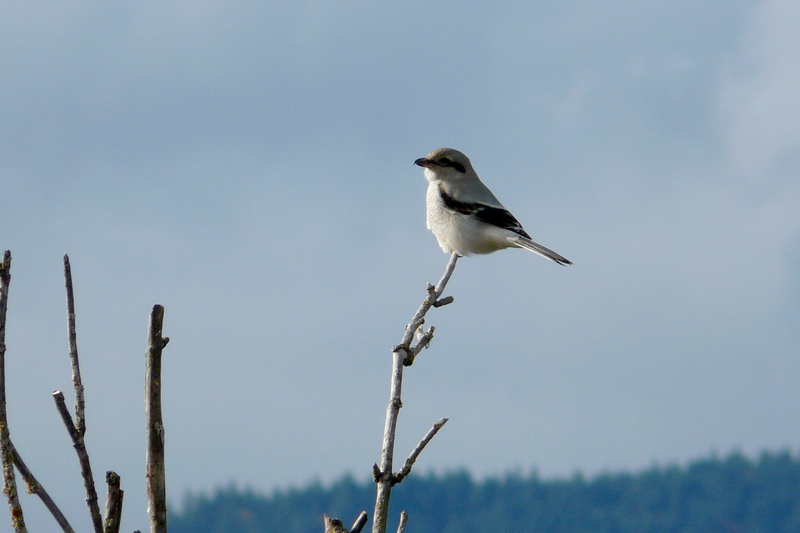 Love the shrike the most!